Ideally located on the main entrance to Martinborough and overlooking the vineyard. Generously proportioned with spacious rooms and a 14ft6 stud height. 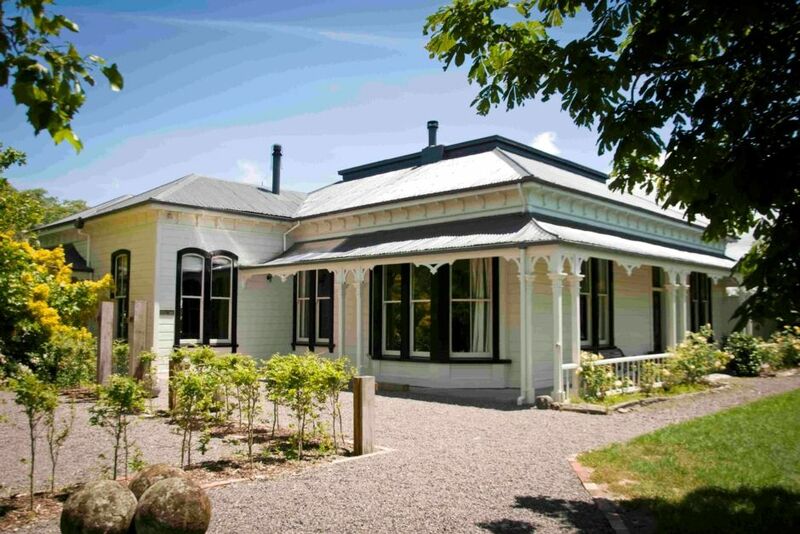 This grand 1872 villa is one of Martinborough's original homesteads. The spacious open plan kitchen is heated by a wood burner, has a stove with 6 gas hobs, double door fridge, dishwasher and a walk in pantry. The dining table extends the length of the room. The Library has a firebox, Sky TV and a comfy sofa. We stayed here in Feb 2019. Beautiful big property. Plum trees outside & loads of space to relax. We had a lovely stay. Unfortunately the main bathroom shower was quite grubby and the towels were very old looking with brown and coloured stains on them. It’s quite offputtin. You’d expect for the cost some beautiful plush white towels & those little extras that make you feel special. We did have to borrow some tea towels from the neighbour also as we couldn’t find any. But lovely house. The house and grounds are beautiful! We had a great time. We had a big group but there was plenty of space for all of us to spread out. Loved the big kitchen and table, which made it easy for group meals. Beautiful house and property, the perfect place for our bridal party to stay for our wedding weekend. The property was beautiful and exactly what our group needed. Lovely property & perfect for large groups. Only let down was no hot water n one of the bathrooms.